Our attorneys represent a broad spectrum of businesses and individuals in a variety of Intellectual Property, Personal Injury, Oil & Gas, and Commercial Litigation matters. What all our clients have in common is the need for smart, experienced lawyers who know their way around the courthouse. Many “trial lawyers” have never tried a single case. We try several cases each year. That time spent in the courtroom has given us an extraordinary collective experience that serves our clients well in front of judges and juries. And our deep roots in East Texas give us a unique respect for and understanding of the culture and customs of the people who live and work here. In addition to trying cases throughout this region, we frequently practice in courts around Texas and in venues around the country. Representation of businesses large and small on both sides of complex commercial litigation matters, including those involving breach of contract and antitrust allegations. We believe in lean staffing and a hands-on style of practice dedicated, first and foremost, to achieving our clients’ business goals. Our keen eye for detail and careful preparation make us potent adversaries to our opponents and dedicated advocates for our business clients. In addition to representing individuals in intellectual property disputes, we have significant experience representing victims of catastrophic personal injuries and their families. Our work on behalf of the family of a young woman who was killed as a result of a defective seat belt ended in the largest wrongful death verdict in federal court in Marshall. We also represent individuals who have been seriously injured in workplace accidents, by defective products, and through the negligence of others. 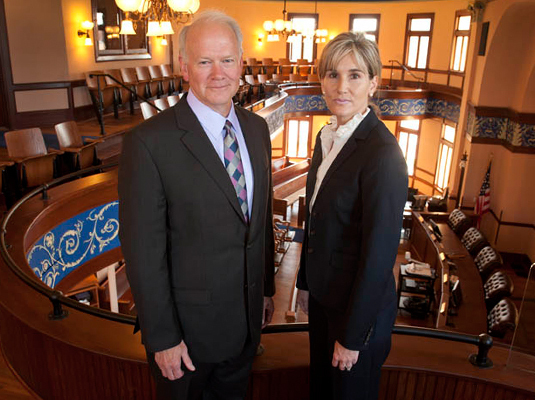 Legal Specialization and certified as Civil Trial Advocates through the National Board of Trial Advocacy, Gillam and Smith also hold leadership positions in some of the most prestigious legal organizations dedicated to protecting the rights of those who have been injured through the negligence of others. Among the organizations our attorneys have served in leadership roles are the American Association for Justice (formerly ATLA) and the Texas Trial Lawyers Association. If you are a business or an attorney seeking co-counsel or trial counsel in an Intellectual Property, Personal Injury, Oil & Gas or Commercial Litigation matter, please contact us for a confidential consultation.